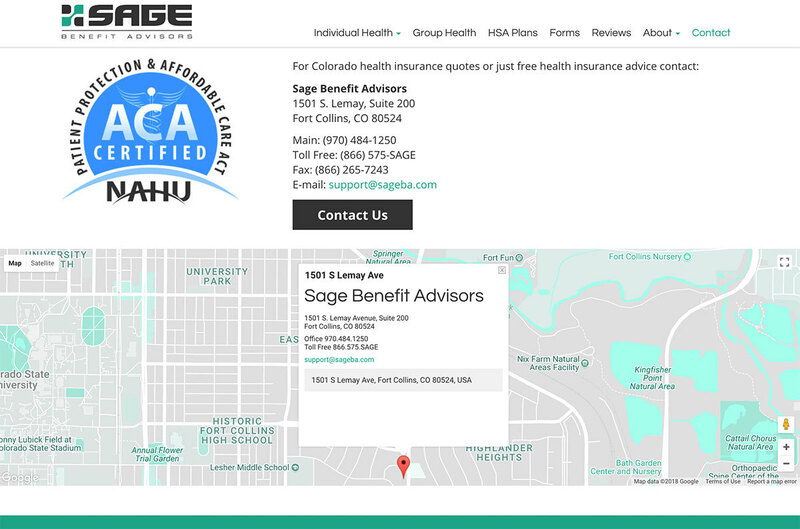 Sage Benefit Advisors is a local health insurance agency and offers recommendations and health insurance guidance. We’ve enjoyed working with them and are pleased to showcase their updated website we’ve completed for them! 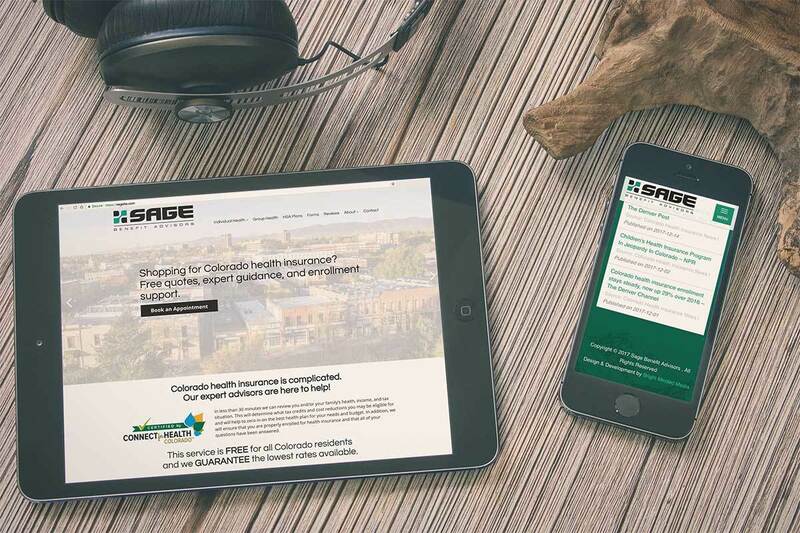 Their goals for this project were an updated website with modern look and feel and improved load times. Additionally, they were looking to better engage their target customers by providing an easy way for them to book an appointment online using their current booking software. We're happy to say we were able to accomplish all of the above! 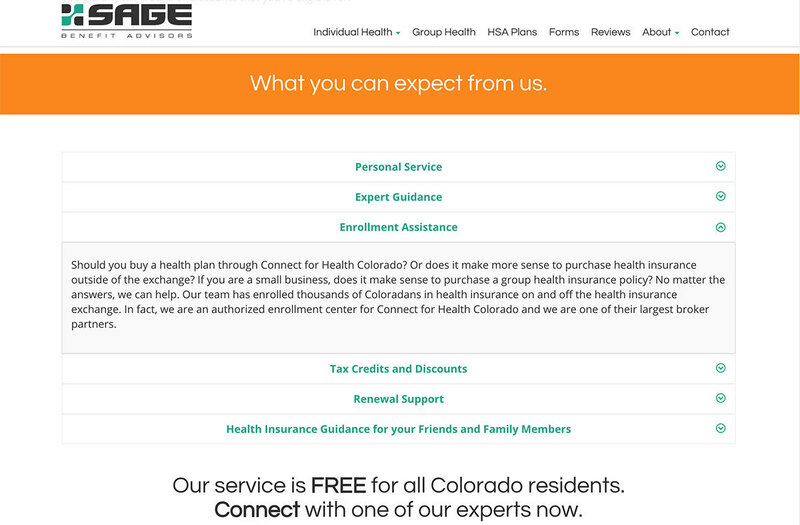 The website was built using the WordPress CMS. The theme was built custom for the client, as well as a couple custom developed plugins to accomplish some third-part integrations per the clients request. 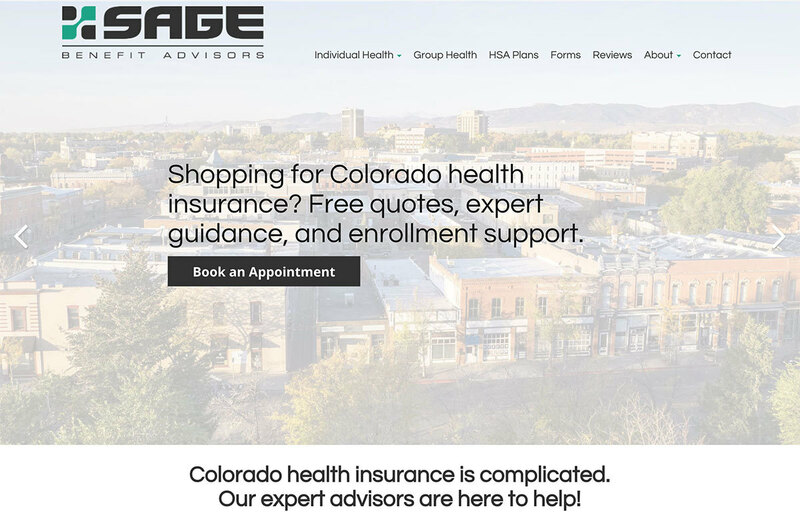 Looking to refresh your website? Or maybe just optimize the user experience and increase engagement. In either case, we'd be happy to help! Contact us today for a free quote.